This add-on for the EggBot Basic Edition replaces the stock egg cup on the egg motor with a new "Egg Coupler" of a very different design. Rather than using a concave polyurethane cup, the coupler features a wide, flat abrasive surface backed by firm but conformable foam rubber. 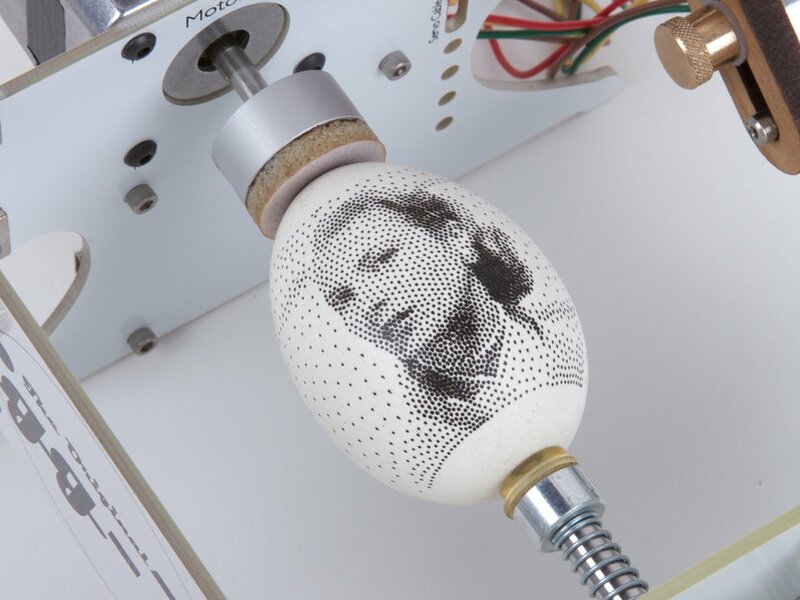 This is one of the most popular EggBot accessories. This new version of the Precision Egg Coupler is made of CNC-machined aluminum, with a clear-anodized finish. It is 7/8" (20 mm) in diameter, and measures about 0.56" (14 mm) thick. 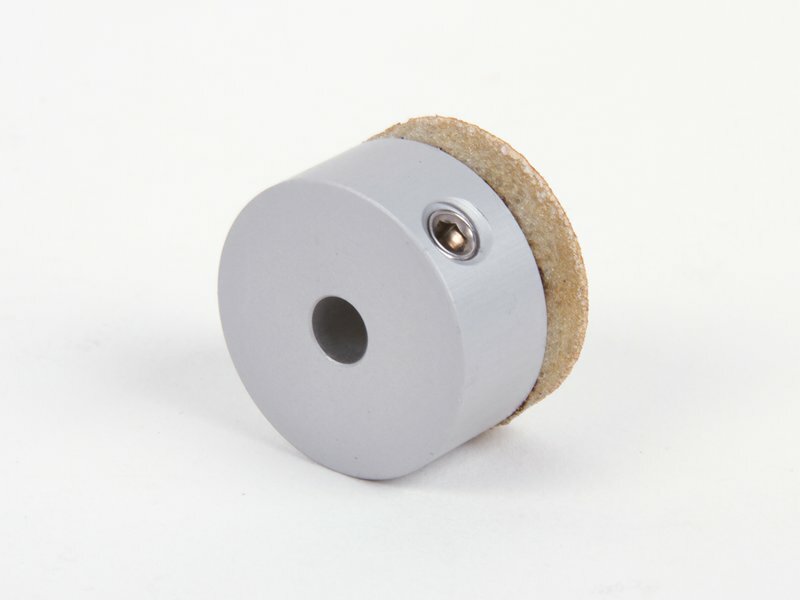 The hole is precisely sized to fit the 5 mm shaft of the motor, and it comes fitted with a stainless steel 10-32 set screw. The abrasive surface of this coupler provides a classic "grip tape" no-slip grip on eggs, plastic or wooden balls, and many other objects. The larger size and conformable surface allows this coupler to grip either rounded, flat, or irregular ends of objects. 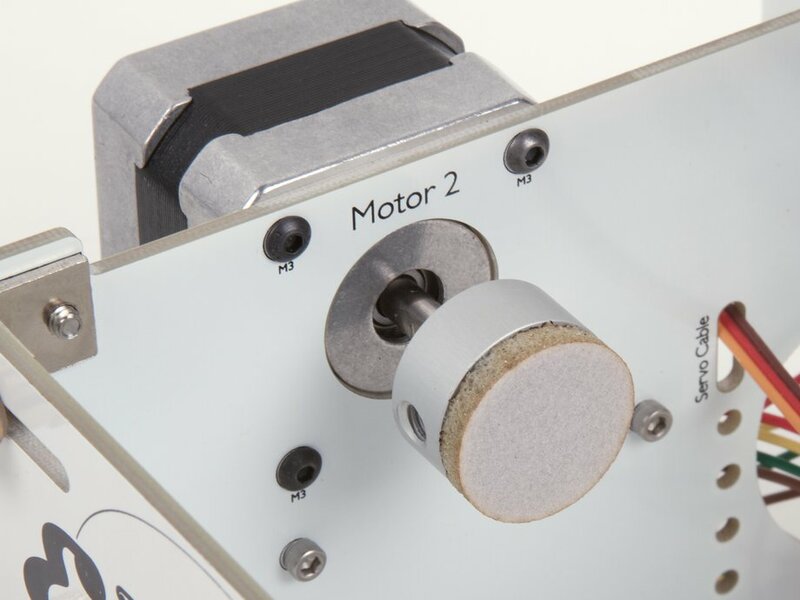 In comparison to the standard egg cups, this coupler makes it easier to establish an extremely solid mechanical connection between the motor and the egg, improving torque, reducing effective backlash and improving plot precision.